It is well known that sodium bicarbonate makes wonders for your teeth. The coconut oil comes as an antimicrobial enhancement and the eucalyptus essential oil keeps the infections away from your mouth. 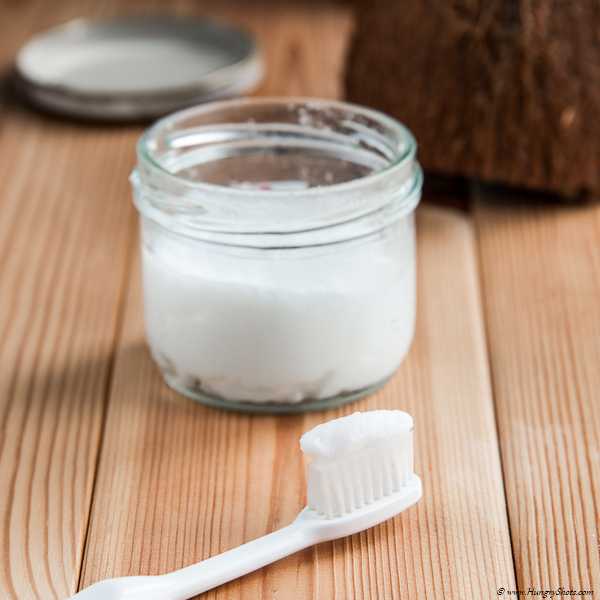 Mix the coconut oil in solid state with sodium bicarbonate, add the essential oil and mix well. You will arrive to a creamy paste that you can store in a small glass container.